Whether it is a part or any meeting, every other man wants to look impressive and dashing. And when style comes with high level of comfort, then nothing is better than that. Jute men wear is a combination of fashion and comfort that provides todayâ€™s generation with an exciting range to choose from. Men wear designed from jute is available for every occasion be it casual wear or formal one to make him look handsome. The best part of these clothing is that they do not only offer style but also sooth and comfort to the wearing spite of wearing for a whole day. 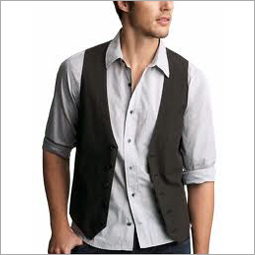 The array of jute men wear includes shirts, t- shirts, pants, coat, blazer, kurta, and so on. With natural quality along with trendy designs, they just give a perfect look to every man in every occasion. Available in varied attractive colors, jute men wear are sure to match up with the needs of the user be it teenager, youth or old one. To convert the natural beige color in the vibrant colors, they are bleached, dyed and treated. Jute men wear are designed in various eye catching patterns, designs and styles to suit every type of requisites. From simple to adorned ones, everything is there in the market. The range starts from the plain to embellished designs from embroidery, patch work, crochet work, beads, stones mirrors, etc. 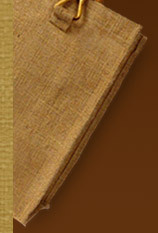 Jute men wear are considered as the strongest and sturdiest clothing type. With their unmatched strength and softness, they ensure to provide excellent performance for a long run. In addition to this, they are capable to absorb sweat and odor so that a user feels fresh all day long. Jute men wear is 100% natural, eco friendly and bio degradable. A user can easily get rid of them by decomposing them without polluting the environment.